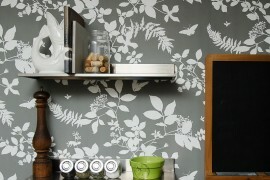 Since it’s all in our perception, we believe that grey doesn’t always mean dullness or boredom. 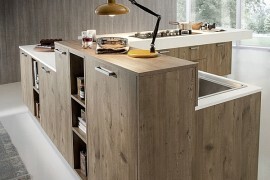 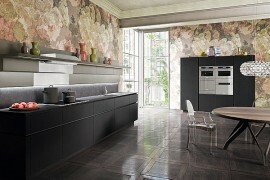 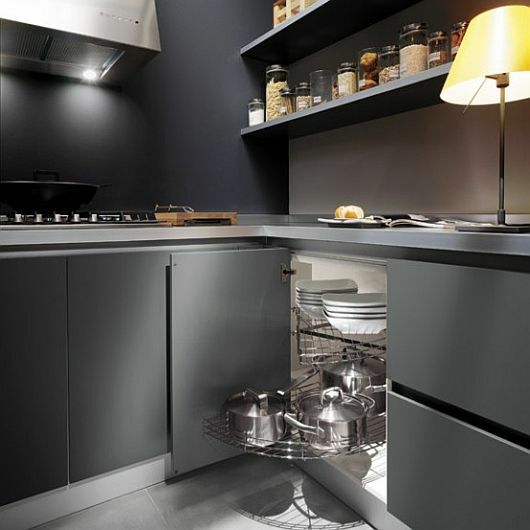 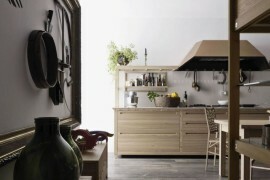 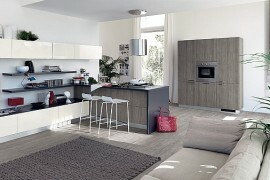 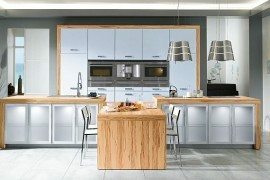 Sometimes, it’s far beyond the impractical connections and that’s exactly what these amazing kitchen designs by the Italians from Ernestomeda, are suggesting. 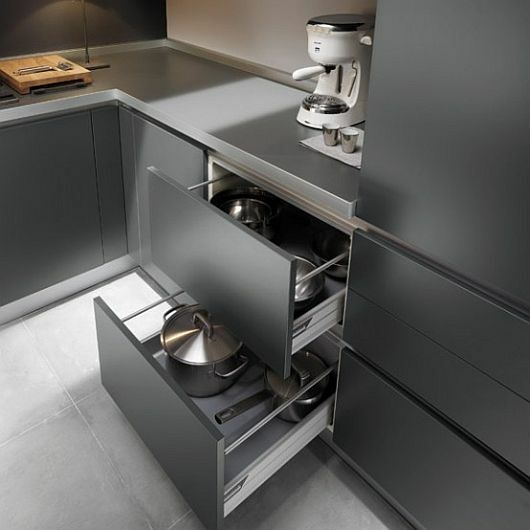 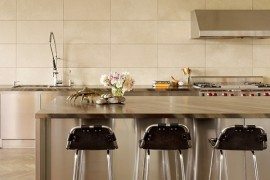 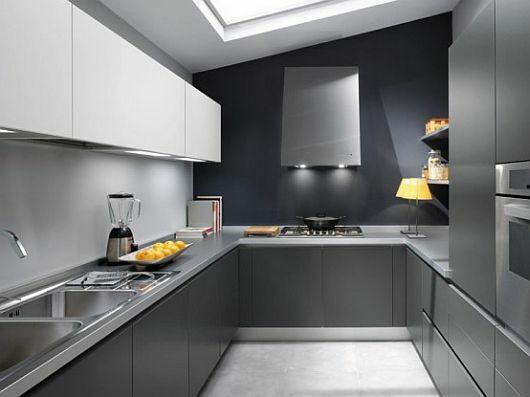 Dubbed One Collection, it touts a strange yet soothing amalgam of contrastive shades of grey where the appliances with slightly lighter hues (steel grey) compliment the shadowy walls and the kitchen cabinets. 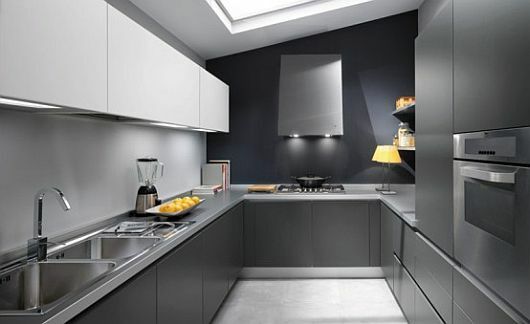 Supplied with a sink, cook top and an oven, iron grey base cabinets/cupboards, arena easy matt lacquered wall cabinets, massy iron grey worktop, shelves and handles, all sing in tune with the grey color scheme. 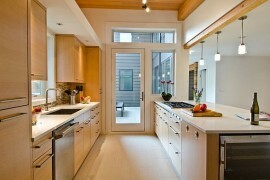 Charming to say the least!